March 23 (UPI) — The Federal Emergency Management Agency released private information of more than 2 million survivors of hurricanes and fires in 2017 to a contractor against federal privacy law, the Department of Homeland Security inspector general said. That information included the last four digits of the survivors’ Social Security numbers, the number of people living in households, bank names, electronic funds transfer numbers and bank transit numbers. “Since the discovery of this issue, FEMA has taken aggressive measures to correct this error,” Litzow said. “FEMA is no longer sharing unnecessary data with the contractor and has conducted a detailed review of the contractor’s information system. 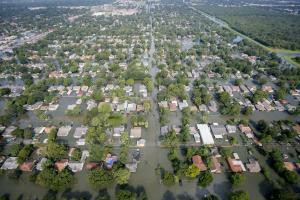 “To date, FEMA has found no indicators to suggest survivor data has been compromised. FEMA has also worked with the contractor to remove the unnecessary data from the system and updated its contract to ensure compliance with Department of Homeland Security cybersecurity and information-sharing standards,” she continued.